Hello again! I am on a roll with getting these posts out! Although that would be more of an accomplishment if I had more than one photo to show you this time around. All of the shots I’d taken were pretty redundant, and you don’t really need to see this polish from different angles anyway. Oh cripes my poor effin’ cuticles. This was taken a while ago, before I’d started moisturizing multiple times a day. Ick. Sorry about that! Anyways, let’s try to ignore that and look at the pretty topper. I have on Mineral Fusion Meteor Shower, a clear base full of shredded lavender glitter, over top of Sally Hansen I Lilac You. Meteor Shower wasn’t exactly sparse, but you definitely need to dab a bit to get the coverage that I got. It was interesting to see something like this from a mainstream brand—I hardly ever see shredded glitters from indie brands, let alone mainstream ones. OPI has Gaining Mole-Mentum and Color Club has Diamond Drops and Fame & Fortune, but those are about the only ones I’ve heard about. Lavender’s such an unexpected color for one, though; I’m really happy with it! Hello hello everybody! 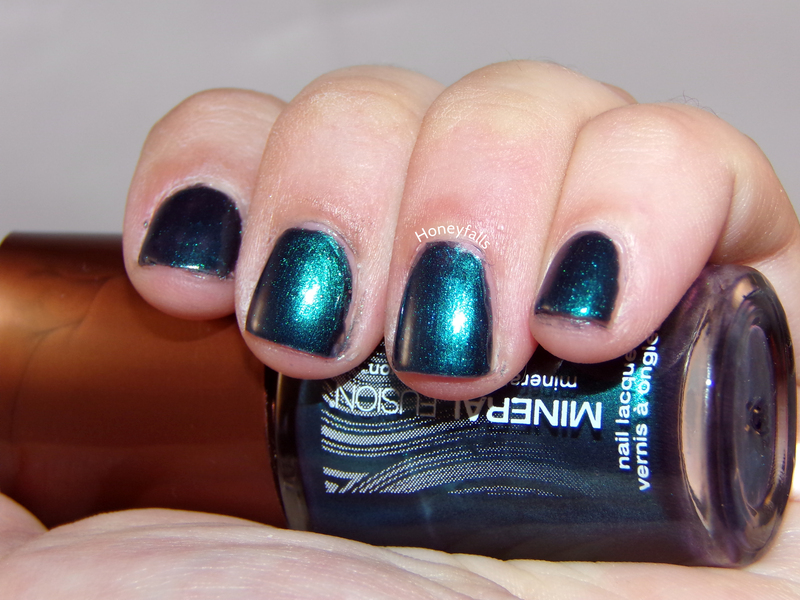 I have a swatch from a new to me brand called Mineral Fusion. I’d only ever seen them in the Whole Body section of Whole Foods, but they apparently also retail at Target and Ulta. And then there’s also their online store. I picked up several bottles, this post is going to focus on my favorite only. 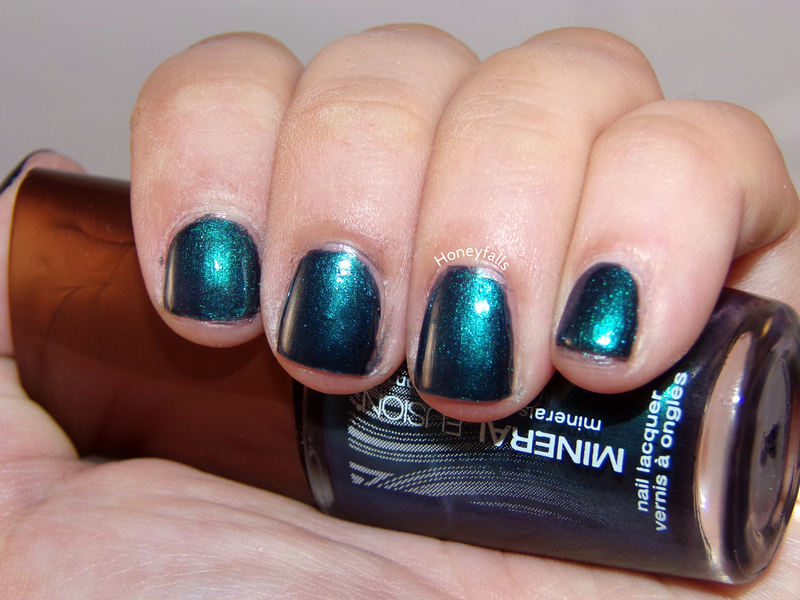 Mineral Fusion Blue Nile is kind of hard to describe. 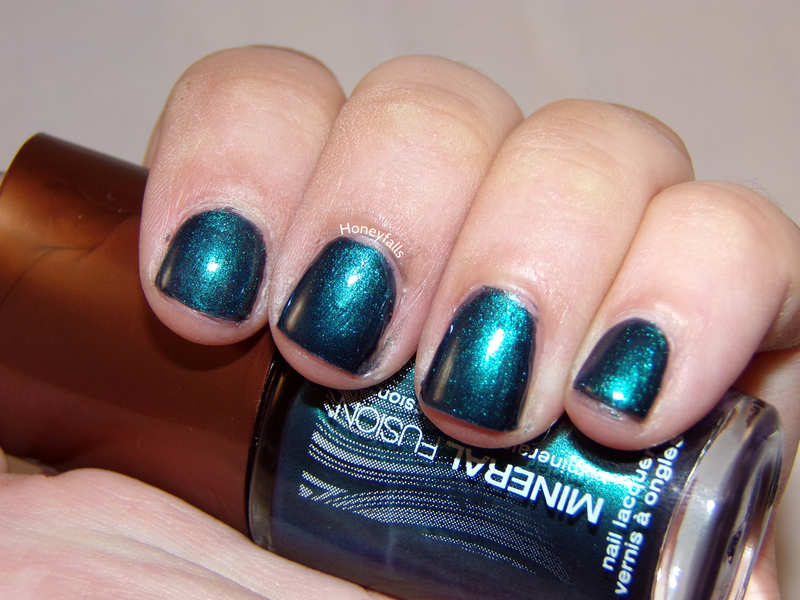 For one, it’s way more teal than blue, and it has a gorgeous metallic shimmer that’s so strong it almost looks duochrome. It’s gnarly. The flash (and I guess my camera) also made this look more blue than it appears in real life—this thing is straight up teal leaning on green. Where they pulled “blue” from, I have no idea. And “Emerald Nile” would have been a way cooler name! Missed opportunity, Mineral Fusion. Application for this was fine, if I recall correctly (someday I will learn to write these things down, but today is not that day), and it gave complete coverage really easily. All my photos are two coats with topcoat. This was definitely the stunner of the group that I picked up, although Meteor Shower was a close second; I’ll have photos of that up soon! Thanks for swingin’ by, my lovelies!